Abstract : In recent years, Jiangxi Provincial Party Committee and Jiangxi Provincial People's Government have been attaching much importance to the development of e-commerce. In recent years, Jiangxi Provincial Party Committee and Jiangxi Provincial People's Government have been attaching much importance to the development of e-commerce and fostering e-commerce as one of its strategic emerging industries with a series of favorable policies and key measures to step up the development of e-commerce. The e-commerce in Jiangxi has maintained consistent and rapid growth with the policy guidance, reinforced investment promotion, fostering of leading enterprises and construction of platforms. The e-commerce turnover in Jiangxi has doubled over that of the previous year for 3 consecutive years in 2013, 2014 and 2015. In 2016 the e-commerce sales totaled CNY 436.12 billion, up by 51.9% from the previous year and in 2017 the figure was CNY 586.85 billion, up by 34.6% from 2016. There are around 96,000 e-commerce entities in Jiangxi, among which there are 12,000 e-commerce application entities and 84,000 private online shops. For now Nanchang and Ganzhou have been approved as national e-commerce demonstration city and there are in Jiangxi 39 e-commerce in rural area demonstration counties, 2 national e-commerce demonstration bases, 3 demonstration enterprises, 8 China Taobao Villages. Endeavors to develop e-commerce have become an important part of the provincial undertakings in promoting internet plus, business startups and innovation and targeted poverty-relief efforts. The increasingly popular e-commerce ideas and higher application level have made e-commerce an important driving engine for the economic restructuring and economic growth in Jiangxi; to promote the in-depth integration of featured industries and e-commerce and enhance market competitiveness; to actively push forward mode innovation, management innovation and technological innovation of e-commerce; to build well-structured and highly-efficient e-commerce industrial clusters and development pattern assembling industrial factors and scientific management; the increasingly favorable environment for development of e-commerce, the coordinated development of support system, technological service and application marketing contributes to the establishment of a complete industrial chain, e-commerce is now an important pillar industry of Jiangxi Province and the turnover is expected to top CNY 1 trillion. In accordance with featured industries in the region and the current foundation of e-commerce, to set up the functions and distribution of e-commerce industrial clusters as “one core and three regions” in terms of industrialization and perspectives of marketing and professional development. The Nanchang-Jiujiang e-commerce core area: to build the e-commerce service headquarter base. To assemble a large number of high-tech, traditional business and trade, innovation, light engineering and textile and other types of e-commerce business with Nanchang National High-tech Industrial Development Zone, China South City Nanchang, Jiangxi Hugoo Honggu Creative Industries Park, Gongqingcheng of Jiujiang, Hengsheng Tech Park, textile and garment e-commerce industrial park in east Nanchang and other e-commerce industrial parks, to build Jiangxi e-commerce service core concentration area, e-commerce talent cultivation concentration area and e-commerce comprehensive function area. Northeast Jiangxi region: to give full play to its advantaged location neighboring Zhejiang, Fujian and other e-commerce giants, to make preferential policies and build favorable business environment for e-commerce to suit local conditions, to introduce e-commerce enterprises and supporting service providers from Zhejiang and Fujian to build northeast Jiangxi into destination of medium and small-scale e-commerce enterprises transferred from Yangtze River Delta and west Taiwan Economic Area. West Jiangxi region: In light of the local Chinese medical herbs, medicine, photovoltaic and lithium battery and other traditional industrial clusters, to promote the wider application of e-commerce, actively introduce and foster featured e-commerce platforms, to build several e-commerce industrial bases specialized for featured industries, to cultivate e-commerce clusters specialized for featured industries and build west Jiangxi into a vital e-commerce concentration area. Midsouth Jiangxi: to give full play to the preferential national policies on supporting south Jiangxi the former Central Soviet Area, in light of the local nonferrous metal, bags and suitcases, IT, furniture, modern logistics and featured agricultural produce and other advantaged industries, to focus on construction of several e-commerce industrial parks and to introduce featured e-commerce platforms in order to shape the e-commerce concentration area for advantaged industries in this region. With the network of “one core and three regions”, to forge a development momentum with reasonable regional planning and complementary and coordinated functions. 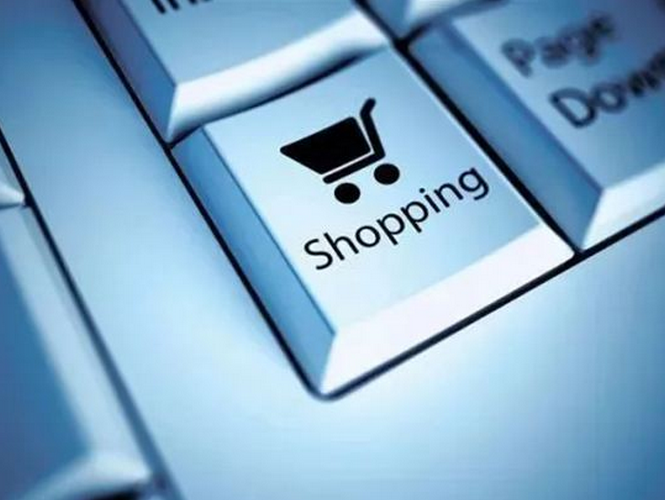 In consideration to the current development conditions and future goals of e-commerce industry in Jiangxi, to promote industry-based investment promotion in an orderly way. Firstly to act actively in introducing major and premium project and famous e-commerce enterprises to settle down in industrial parks and establish national headquarter or regional operation center in the industrial parks. Secondly with driving force of leading enterprises to assemble more enterprises across the upstream and downstream of the e-commerce industrial chain, to introduce more e-commerce service and supporting service business like consultation, planning, incubation business offering operation agency and professional service, logistics, online payment, etc.. Thirdly in light of the comprehensive infrastructure of industrial parks to introduce e-commerce real estate and e-commerce building project. Fourthly to focus on integration of introducing in and going out and introduce excellent e-commerce enterprises and professionals. Mainly target on domestic cities including Beijing, Shanghai, Guangdong, Zhejiang, etc. and overseas countries and regions including US, Japan and Europe. In November 2013, Jiangxi Provincial People's Government issued Several Opinions on Accelerating the Development of E-commerce, clarifying the development goals and detailed measures concerning tasks, institutional support, preferential policies, service guarantee, etc. in efforts to build policy environment for the accelerated development of e-commerce. In September 2015, Jiangxi Provincial People's Government issued Several Measures of Jiangxi Province in Implementing State Council’s Opinions on Vigorously Developing E-commerce to Accelerate the Cultivation of New Economic Driving Force, releasing 19 policies and measures to improve e-commerce public service network, guide e-commerce enterprises to grow stronger, promote development of e-commerce in rural areas, promote the construction of e-commerce demonstration system and optimize administrative environment. In September 2016, Office of Jiangxi Provincial People's Government issued Implementation Opinions on Further Practice of Internet + Distribution Action Initiative and Accelerate Online and Offline Interaction and explicitly proposed to strengthen efforts in undertaking e-commerce industrial transfer from developed coastal provinces, to introduce e-commerce service projects including training and consultation, marketing and planning, operation and promotion, online payment, logistics and distribution and encourage migrant Jiangxi talents and professionals in other provinces to return and invest in hometown. In February 2017, Jiangxi Provincial Party Committee and Jiangxi Provincial People's Government issued Opinions on Accelerating Growth of New Economy and Fostering New Growth Drivers and proposed to step up development of e-commerce industry by reinforcing operation service, expanding market access and strengthening fiscal and taxation support. In May 2017, Department of Commerce of Jiangxi Province took the lead in compiling and issued Joint Meeting System for E-commerce Undertakings in Jiangxi and Implementation Planning to Promote the Development of E-commerce, which was approved by the joint meeting in advance. Bureau of Commerce of Fuzhou, 0794-8251551.